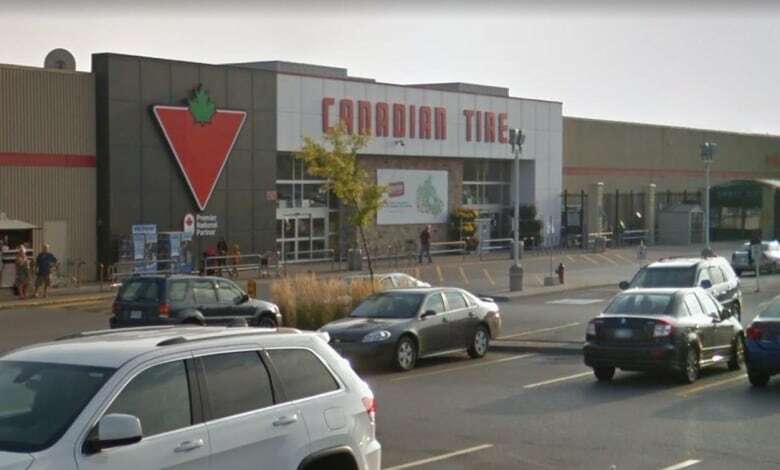 A Toronto-area woman who admitted to attacking workers at a Canadian Tire store with a golf club and butcher knife in an effort to help ISIS has been found guilty of several terror charges. Jurors deliberated just over an hour on Thursday before delivering a decision in the case of Rehab Dughmosh, who was arrested in July 2017 after the attack at a location at a mall in east Toronto. Dughmosh initially faced a total of 21 charges, but in the end faced four, including two counts of assault with a weapon and one of carrying a weapon — all in the name of the Islamic State in Iraq and Syria. Dughmosh, who represented herself in court, did not enter a plea, but not guilty pleas were entered on her behalf. She did not present a defence and declined to make any closing statements to the jury. In his closing arguments Thursday, Crown prosecutor Jason Wakely said an agreed statement of facts presented in court — the only evidence brought in the case — shows Dughmosh is guilty of all offences. "She could not have been any clearer that she was doing this for the benefit of ISIS," he said. "She literally declared the words, 'This is for ISIS,' she draped herself in an ISIS banner, she wrapped an ISIS bandana around her head and she repeatedly said words to the effect that she did this for ISIS." Superior Court Justice Maureen Forestell told the jury that when facts are admitted, no further evidence needs to be presented to prove them. While it is unusual for a trial to proceed on admitted facts alone, it is appropriate to do so, and jurors should not speculate as to why it played out this way, Forestell said. Dughmosh "has not disputed that the elements of the offences have been proven," the judge said. 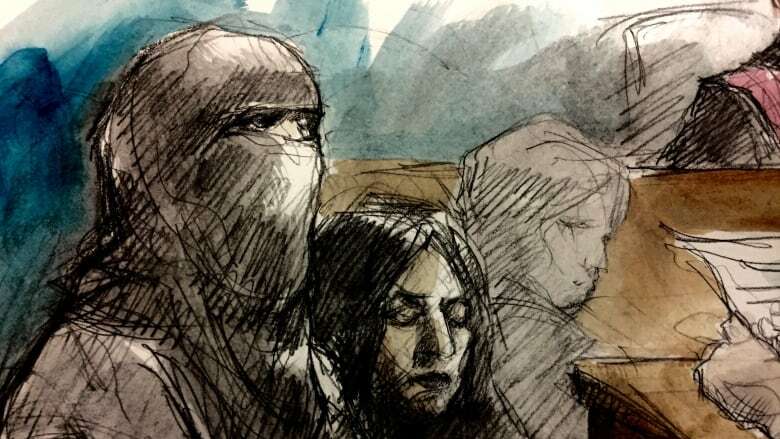 The statement, read in court Wednesday, says that while Dughmosh initially denied she was travelling in an effort to join ISIS, she admitted after her arrest in 2017 that it had been the true purpose of the trip. The statement also says Dughmosh began contemplating an attack in Toronto about a year after her return and quickly began to build an arsenal of store-bought and homemade weapons. It says she also made an ISIS banner using black spray paint. On June 3, 2017, Dughmosh decided to move forward with an attack and packed several bags with makeshift weapons, including a hammer, 31 metal barbecue skewers, 76 straws with screws glued to the tip, scissors and a child's shovel "converted to claws," the statement says. She also hid an archery bow and 20-centimetre butcher knife inside her robe, it says. However, on her way out, Dughmosh ran into her estranged husband with whom she still shared an apartment, and he confiscated the bags of weapons, the statement says. He did not know about the concealed weapons. Once she arrived at Canadian Tire, Dughmosh tried to obtain arrows but they were locked in a display case and an employee said he could only bring them to the cashier, the document says. Dughmosh did not have money, so instead gave up on the arrows and walked through the store collecting tools in a shopping basket, it says. She then went to get a golf club, it says. Shortly after 5 p.m., Dughmosh pulled an ISIS banner from under her robe, tied an ISIS bandana around her head and took out the bow, the document says. She then grabbed the golf club and walked over to the paint section, where three employees were helping customers, it says. The statement says Dughmosh charged at them, swinging the club and chanting. "This is for ISIS," but staff were able to grab the club from her hands. She then pulled out the butcher knife, but the employees managed to wrestle her to the ground and eventually seize the knife, it says. No one was seriously hurt, although one employee suffered bruises and was also bitten by Dughmosh, the document says. Police arrived and called in RCMP due to the possible terror link, it says. In her interview with the RCMP's national security unit, Dughmosh admitted that she had unilaterally pledged allegiance to ISIS after reading about the terror group and watching videos online, the statement says. She told investigators she chose that day for the attack because "there would be many people at the mall," the statement says. "She said she wanted to hurt people and make them feel fear but not kill them," the document says, explaining the attack was meant as payback for what she saw as the public's tacit agreement with governments killing Muslims. "She wanted news of her own attack to be published, she believed ISIS would be happy with what she had done," it says. "She was disappointed that she failed to hurt anyone in her attack but also stated that the important thing was to try." Police later searched her home and found the bags with the weapons confiscated by her estranged husband, as well as a cellphone that contained propaganda videos and a handwritten will in which Dughmosh asked to be granted martyrdom, the statement says.